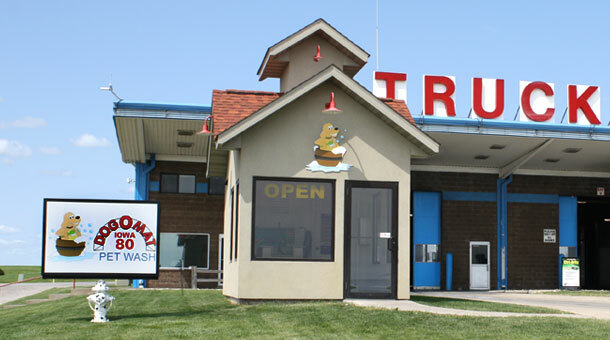 The Dogomat Pet Wash is located at our Walcott, Iowa location on the grounds of the Iowa 80 Truckstop. Pamper Your Pooch. The Dogomat Pet Wash is self-serve and open 24 hours a day / 7 days a week. It includes several shampoo wash options for your pet. Deskunk and Flea & Tick rinses and a blow-dry option are also available. Dogomat Pet Wash accepts cash and major credit cards.